Audi has won, lost, dominated and been invisible in GT racing this year. 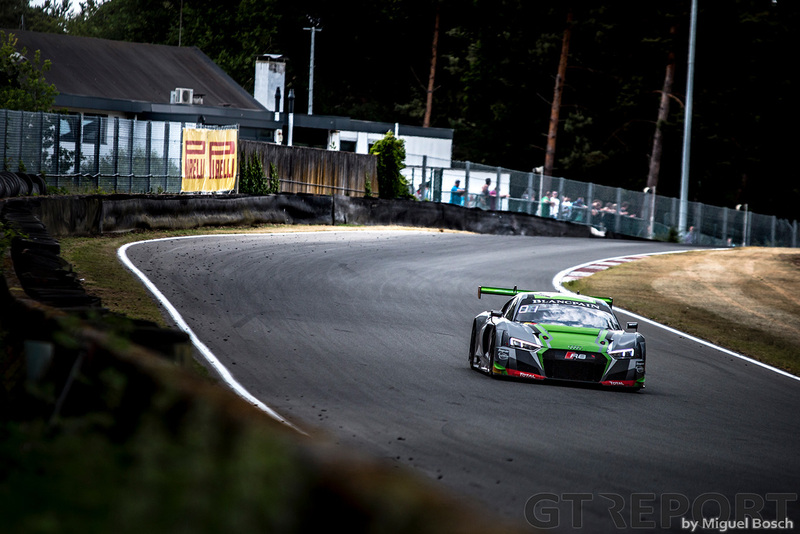 The past weeks, however, have proven to be extremely fertile for the German manufacturer, as Audi moved from its 24 Hours of the Nürburgring victory to Belgium to collect some more trophies at the Blancpain GT Series Sprint Cup held at the short Zolder circuit. Carved out between the ponds and heathland of northern Belgium, Circuit Zolder has been the playing ground for Belgian Audi Club Team WRT since Vincent Vosse’s squad first came here. Last time the championship entertained the Flanders crowds, Laurens Vanthoor and Robin Frijns dictated terms as the Belgian-Dutch duo won the weekend in a powerful display. Fast forward to today and Audi’s supremacy is indistinguishable. 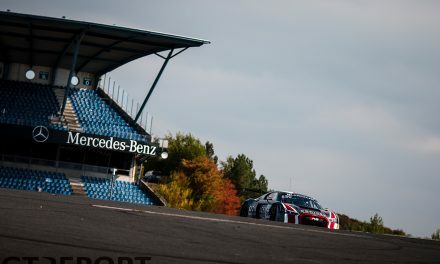 Boosted by the Stuttgart brand’s win at the Nürburgring a week ago, Audi came to Zolder to win. After the spoils in Saturday’s qualifying race were taken by, again, WRT’s Robin Frijns and his new team mate Stuart Leonard, the weekend concludes on Sunday afternoon with the main race. 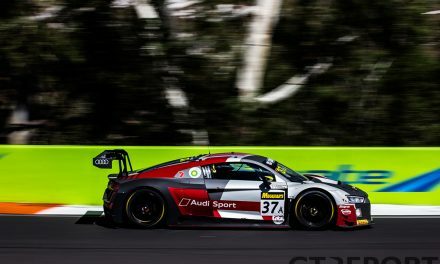 Without opposing force from powerhouse Grasser Racing the way is clear for Audi to make up for ground lost in the opening races of the season. 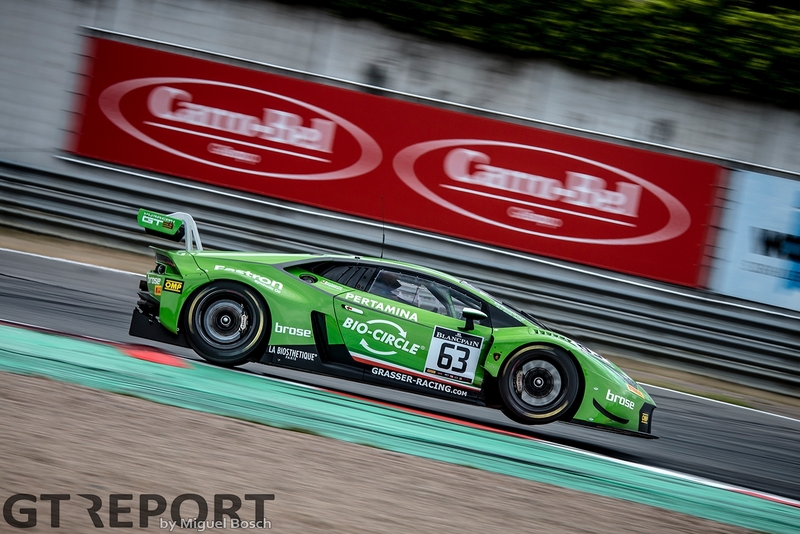 The Lamborghini Huracán GT3 team was taken out at the tight squeeze into the first turn at the start of the qualifying race, ending a string of Blancpain GT victories that lasted over three race weekends and threw Lambo vedette Mirko Bortolotti sufficiently far down the starting grid for the second race that all he and co-driver Christian Engelhart could hope for were points, if even that. Leonard, as the Brit had taken the number 17 WRT Audi R8 LMS GT3 to the finish the day before, is up for starting duties from pole position. Next to him on the grid stands Michael Meadows, the AKKA ASP Mercedes-AMG GT3 driver eager to take the lead when the field rolls to the green lights. Too eager, it turns out, as Meadows accelerates to the start without a care for the pole-sitter and pace-setter and falls into the trap of jumping the start. In the corner of his eyes Markus Winkelhock sees the red AMG run away. The WRT Audi racer isn’t distracted by the blatant false start and mounts an attack on team mate Leonard in the braking zone for the first turn. The German pushes the number 2 WRT Audi past the sister car, but is still running third. 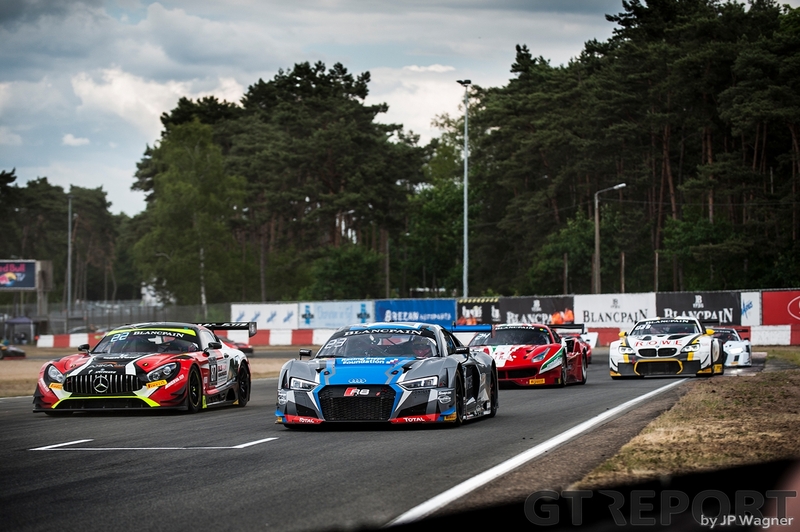 ISR Audi driver Clemens Schmid found clear space in front of him when Meadows went for it and took full advantage of Winkelhock’s assault on Leonard. Schmid is soon the one to inherit the lead as a drive-through penalty for Meadow’s AMG only needs formalization by the Stewards. Behind Schmid, Winkelhock is promoted into second place when Meadows makes his ride through pitlane. 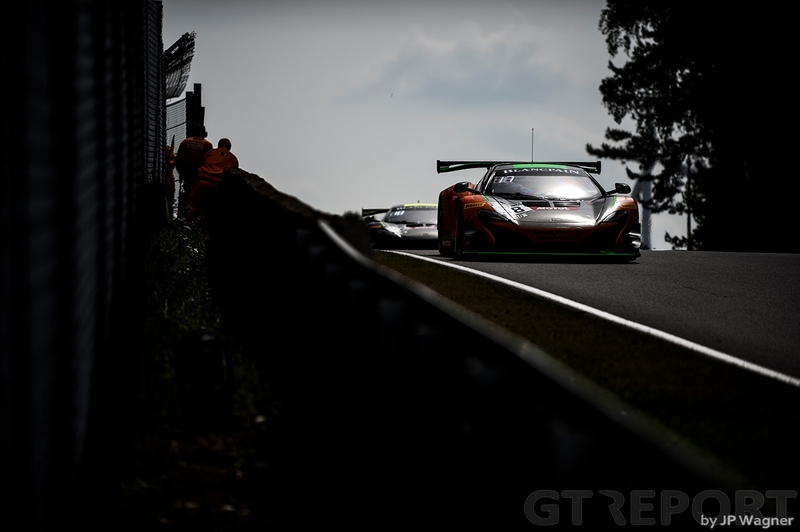 Last weekend’s winner of the 24 Hours of the Nürburgring is chasing the ISR, searching for a weak spot. There doesn’t seem to be one, Schmid is hustling the white Audi over the Zolder hills with the same determination as his pursuer. WRT is forced to wait for the pitstop window to open and find a way through there where the Audi-supported team never fails to impress: The pitstops. With 34 minutes to go the race on pit road is on. Schmid shoots in, followed on his heels by Winkelhock. WRT’s pit crew gets ready. The Belgians are the golden standard in pitstops after hours upon hours of practice. Winkelhock straps Will Stevens into the Audi, the crew services the car in record speed, and gone Stevens is while Filip Salaquarda is still waiting on his ISR crew to finish the job. Despite the ISR delivering a worthy pitstop, Salaquarda returns to the track several seconds behind the new leader. Clear of the ISR Audi in front, Stevens is unchallenged throughout the remainder of the race. A late safety car appearance to recover a stranded AMG bunches up the field, but even that is no threat to the Englishman. 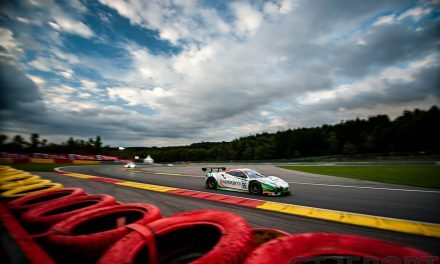 When the race goes back to green for just one more lap, the professional yet lapped Daniel Keilwitz in the Rinaldi Racing Ferrari 488 GT3 acts as an excellent buffer between Stevens and Salaquarda, giving the WRT Audi enough space to set one last quick lap to take the chequers. Frijn’s attacks on Salaquarda also leave the ISR pilot with his hands too full to worry about going for the win, holding on to celebrate a much welcomed second-place finish. During the pitstop window any non-Audi at the front is shuffled back until there are none left in the top 4. 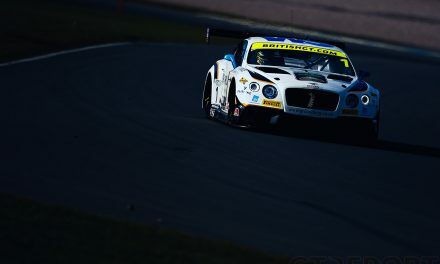 After four Audis, three of which are from local favorites WRT, cross the finish line, it’s Bentley that picks up the first points for another manufacturer. 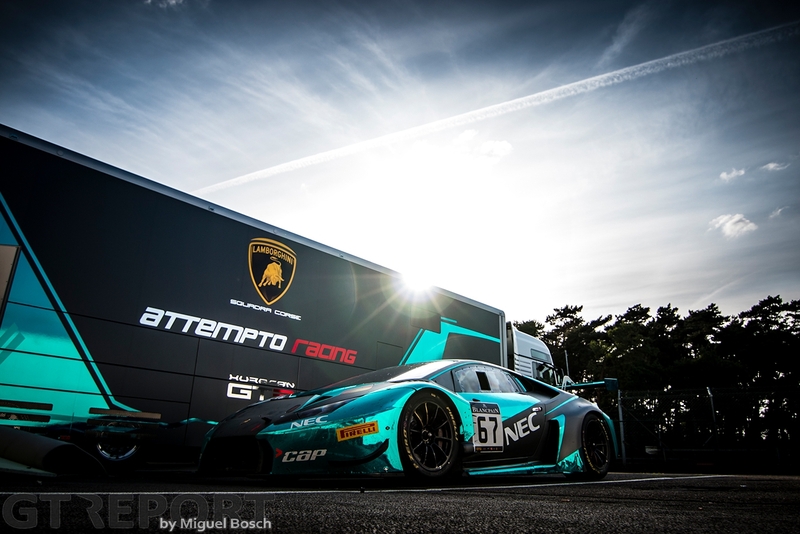 For many who were in Zolder the race for the 24 Hours of Spa now really begins. In a couple of weeks the championship travels to the south of France for the six-hour race at Circuit Paul Ricard which has served as the dress rehearsal for the Ardennes classic for several years, before returning to Belgium for the Spa test and finally the big race in the midst of summer.